Fitness Training Midland: Why Choose Fit Family Fitness? Do you have a home for fitness training in Midland? If you do, we hope that you’ve found a place where you can not only feel comfortable and get the personalized attention you deserve but also where you can have the space and resources you need to achieve your personal fitness goals. If you don’t, then allow us to introduce you to Fit Results Midland. 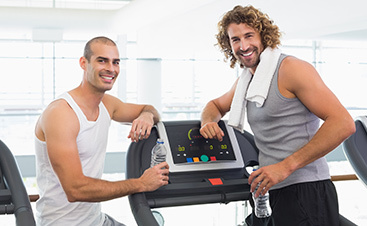 Our Top Rated Local® Midland fitness facility is home to the best. Our operating mission is to help those in Midland, Odessa, and throughout Texas to achieve their health and fitness goals at a pace that is comfortable for them. Above all, we want our community to feel great. 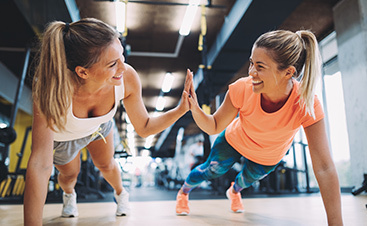 Keep reading to learn why Fit Results Midland is your one-stop spot for all things fitness training in Midland, and contact us today to learn about the 28-Day Get Fit Challenge, Fit Results Boot Camp or to sign up for a membership. What sets us apart from the other gyms and fitness facilities in Midland? It has to be our dedicated, certified and encouraging personal fitness trainers. 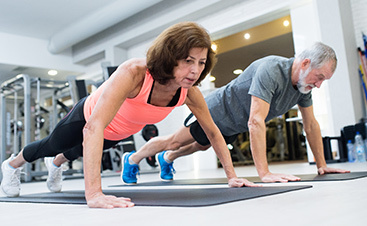 Backed by more than 30 years of fitness training experience, our personal trainers have the knowledge and abilities necessary to guide you toward your fitness goals at your own pace. Fit Results has a variety of membership options, and it is always best to come visit with one of our membership specialists to see which plan is perfect to get you and your family into the best gym in Midland. All memberships come with great customer support, exceptional and clean facilities and amenities, and lots of space so you never feel crowded. Memberships also include a bonus, complimentary, non-intimidating, non-invasive fitness assessment and InBody Analysis with one of our experienced certified personal fitness trainers—a $200 value! Another benefit of being involved in our results-based Personal Fitness Training programs, setting Fit Results apart from any other program, is the PFT Membership Plan at Fit Results. This plan is included with our packages, giving you VIP discounted fees on your gym membership or complimentary membership during your Personal Fitness Training package. The PFT Membership Plan was designed to further help you get RESULTS and reach YOUR goals. *Restrictions may apply for current members. Large Cardio Area (most with HDTV personal viewing screen): Treadmills, Ellipticals, Cross Trainers, Stair Climbers, Steppers, Upright Bikes, Recumbent Bikes, Krank Units, and much much more! 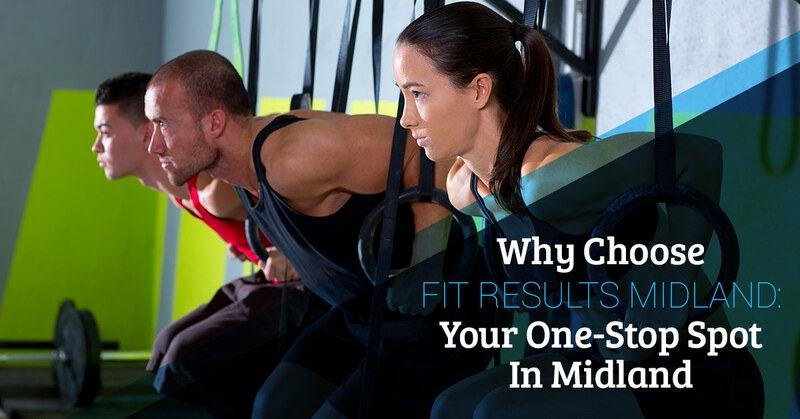 CONTACT FIT RESULTS MIDLAND WITH ANY QUESTIONS REGARDING OUR FITNESS FACILITY AND PROGRAMS.